Hey guys! Happy Tuesday, although it feels waaaay too much like Monday! 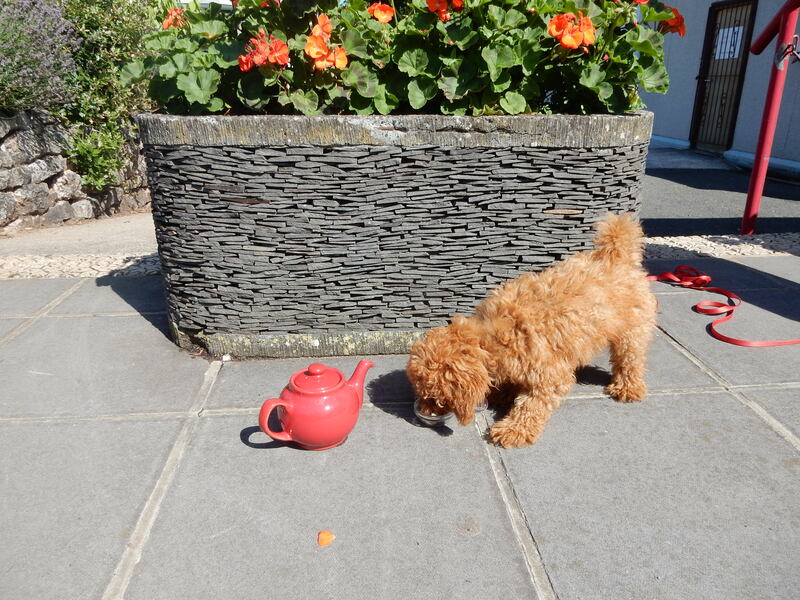 If you follow my social media then you’ll see that we have a new addition to the family in the form of a little toy poodle called Bali (after our trip to the beautiful island of course!) Having a dog has completely changed my life, I constantly have someone around to talk to (I swear she understands me!) and it gets me out in the day for a walk and they say that a 20 min stroll a day can extend your life, win win! Anyway, with having a dog I now have to plan a little more about where I go as unfortunately not all places are dog friendly. I’m such a pet person so if I owned a cafe / restaurant I would most certainly open it to our 4 legged friends, it would basically be a pet shop serving cakes! 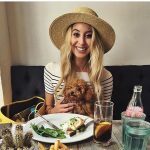 So I thought I’d write this post on doggy friendly places in my hometown of Devon, I’ll do a London version soon too as I’m sat writing this in The Coffee Traveller, Chiswick and little Bali is sat on my lap getting all the attention! 🙂 AND guys you can shop of all my looks in the links in the text too. Cute breakfast or lunch spot just ff Torreabbey in Torquay, One World has a kind of Moroccan or African vibe to it and is a proper little sun trap away from the sea breeze. Dogs can go inside or outside. They also serve the most delicious ice creams and milkshakes. Throughout the summer they often put on evening music sessions. 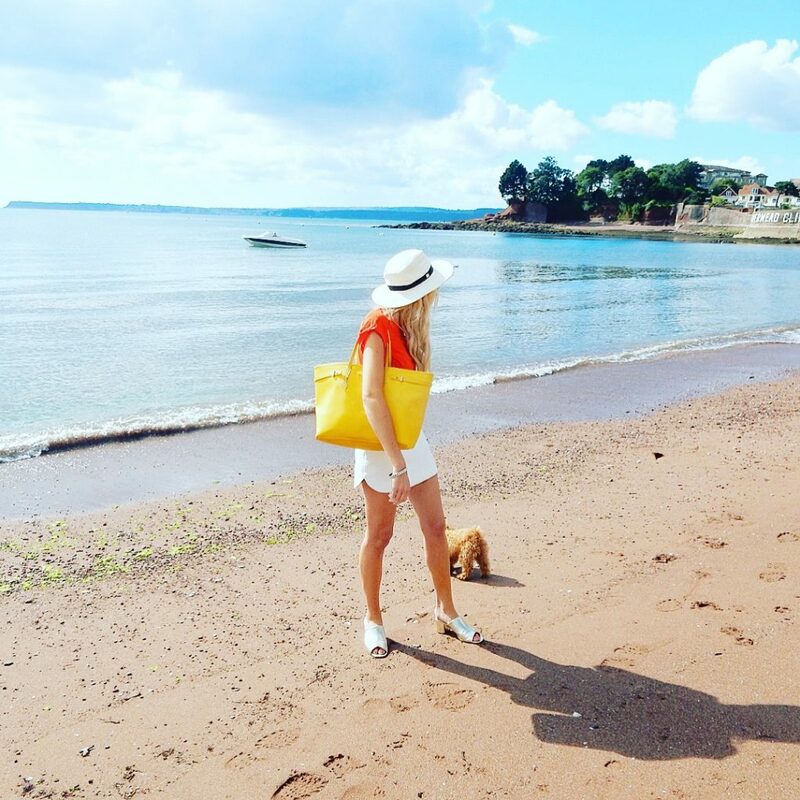 A typical cove beach with Devonian red sand and dog friendly year round! Access opposite the Livermead House Hotel on the seafront. Great to watch some watersports too as the 5 knot buoys mean boats come in to prepare for water ski-ing. The whole hotel here is dog friendly which is soooo nice, there were lots of fluffy friends staying when we visited and it’s set out so well that the rooms feel like little chalets, even Audrey Hepburn has stayed here and if that doesn’t want to make you pick up the phone and book a room then I don’t know what will. 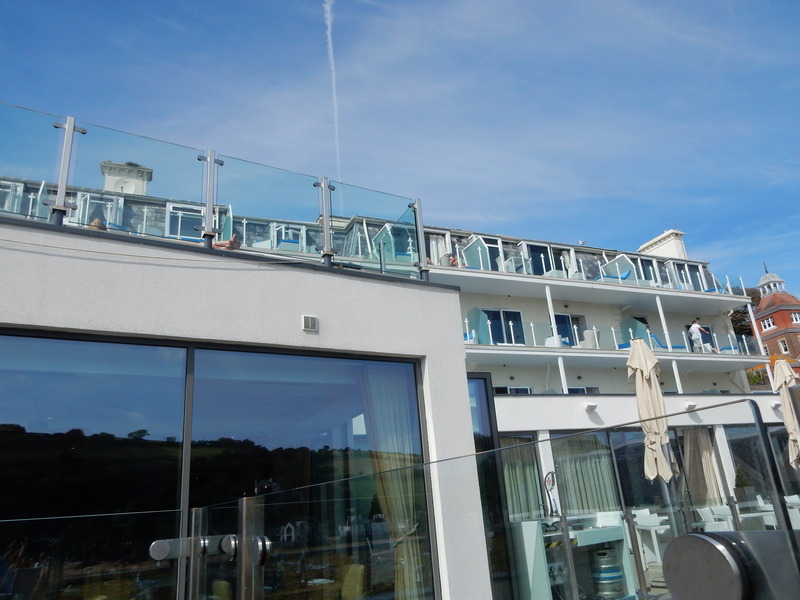 I think the hotel is only 1 or 2 storeys tall and looks down the valley to the sea. 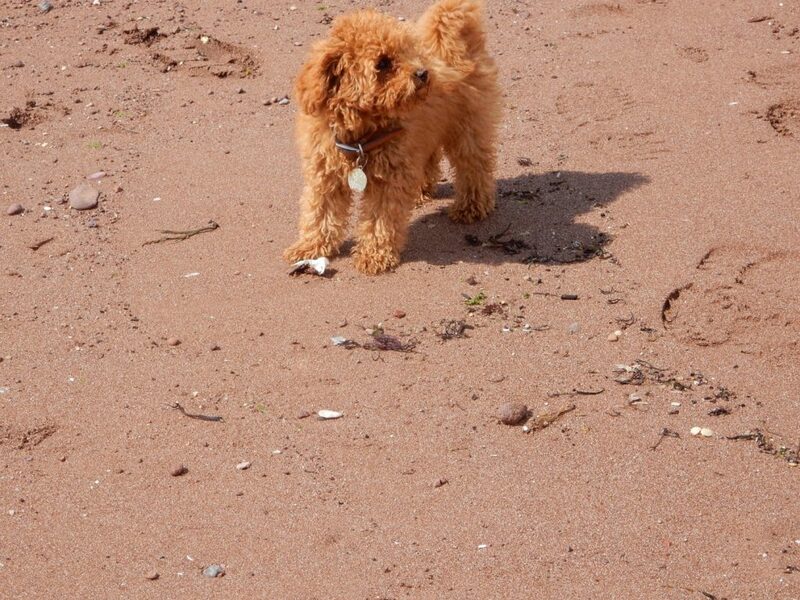 Soar Mill Cove beach is also dog friendly all year round and for a place that is a pretty difficult to access (the closest car park is a 30 min walk along the South West Coast Path, unless you arrive by boat!) it was packed! If you don’t fancy a hike to the beach you can pay £4 to park at the hotel and then it’s just a 5 minute walk down. The actual beach was soooo busy (If you know me then you know I hate busy!) so we ate our picnic over looking the sands below. My picnic basket is from Haynes Motor Museum and it was only £29.99! It’s great because everything stays upright when you carry it and it comes with cutlery and crockery for 2, how romantic! You can’t buy online unfortunately but it’s worth a day trip there. You can shop my new boater hat which is from Marks and Spencer (totally underappreciated in the accessories department!) And my bikini top and bottoms from Pretty Little Thing. 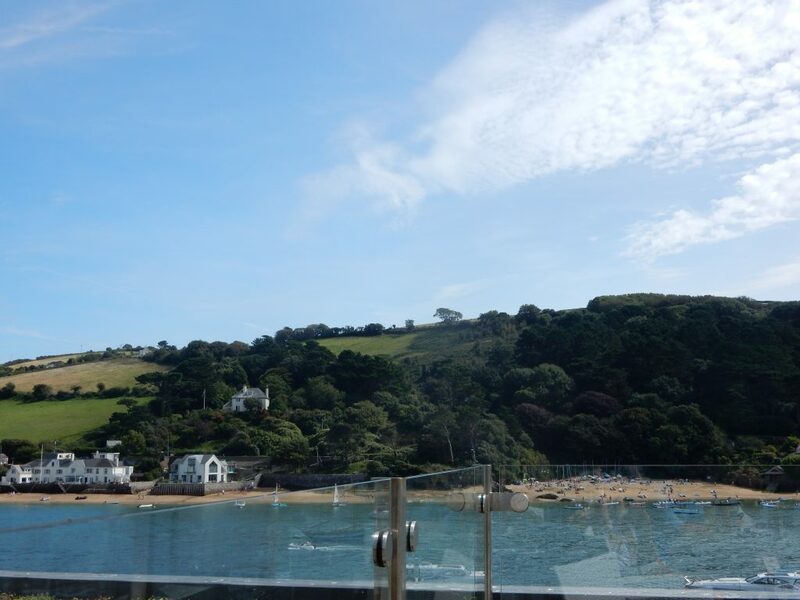 Salcombe is just gorgeous and if you haven’t been then you MUST go! 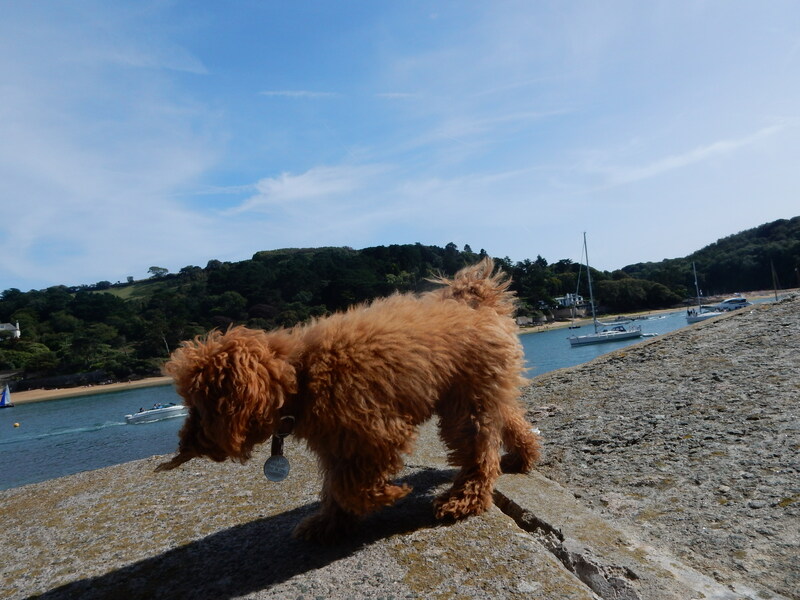 If you have a dog of your own you can stay at the Salcombe Harbour Hotel and your dog can join you on the terrace for lunch and dinner. Looking at this glamorous hotel you wouldn’t think it was dog friendly but our doubts were lifted as soon as we saw 2 beautiful cockapoos coming out of the foyer. I recommend the mussels (although I didn’t eat them myself I think pretty much every other table did and they smelt divine). Also a glass of prosecco is the perfect accompaniment to the stunning views. 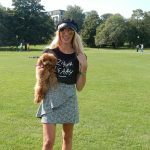 Shop my hat and skirt from River Island and my Tshirt from egaliTEE by my friend Ashley James, 10% of the price goes to habitat for humanity, there’s 15 slogans to choose from. Shoes from Marks and Spencer, working their magic again! I’ve said it before and I’ll say it again, this is actually my FAV place on earth. 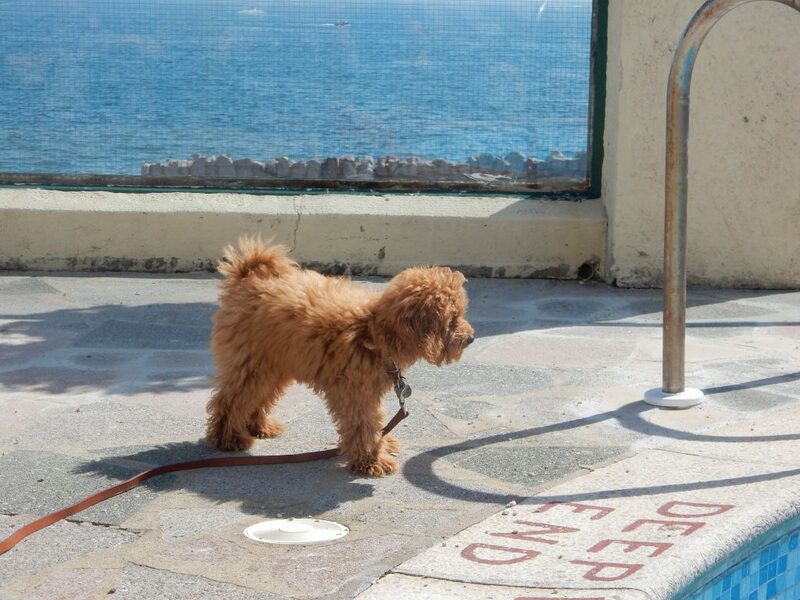 Dogs are welcome outside and on the terrace and in some of the designated lounge areas. 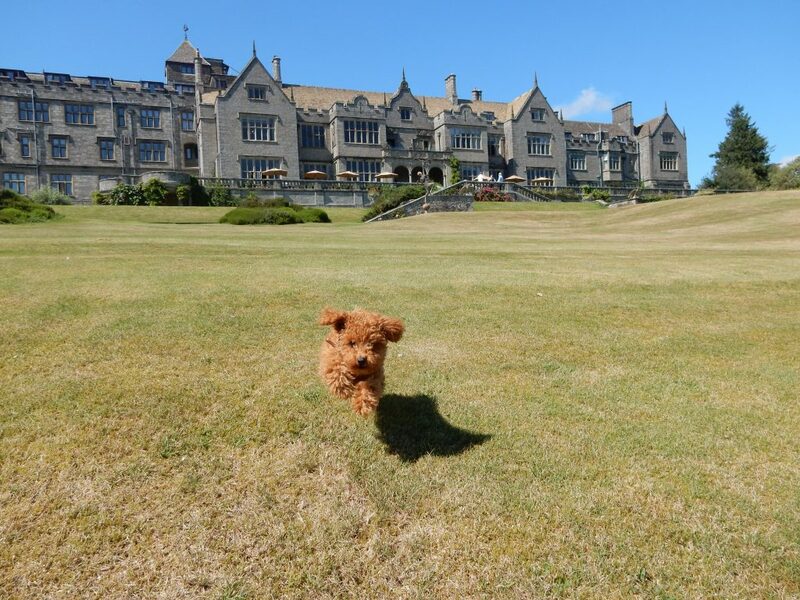 If you haven’t heard of Bovey Castle before, you will definitely want to visit when you find out Brad Pitt (yes really!) has stayed there and Tom Daley got married there recently. 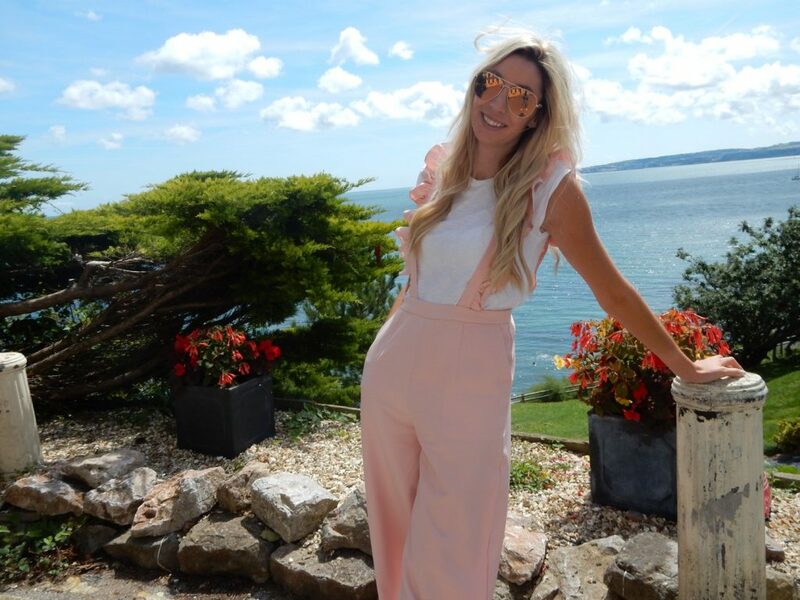 It’s a 5 star luxury manor house on Dartmoor, complete with golf course, swimming pool and spa, various English sporting activities and the best cream teas around. Shop my LWD (Little White Dress) from Pretty Little Thing. There are also lots of other dog friendly venues such as Old Wall Vineyard and Visto Lounge and The Grand Hotel but I’ll cover those another time 🙂 A big shoutout to the Corbyn Head Hotel too for letting me shoot with my giant flamingo in the pool AND let Bali in. Hope you enjoyed this post, what did you guys get up to over bank holiday? ← Converting Sunday Sadness to Monday Motivation!